r. Narendranath Reddy graduated in medicine with distinction from S.V. Medical College, Tirupathi, Andhra Pradesh. He then went to the United States of America where he specialised in internal medicine and endocrinology. He has been a consultant and practicing internist-endocrinologist in Southern California for over 35 years. He is a fellow of the American College of Physicians and the American College of Endocrinologists, California. 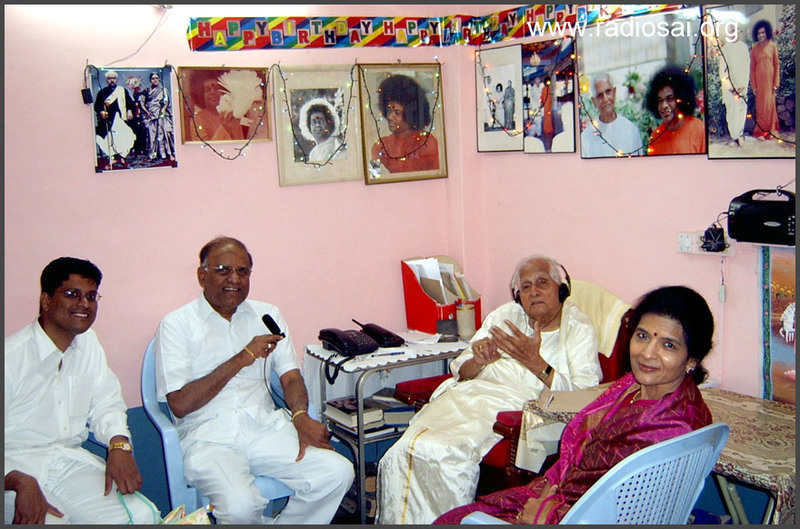 Four generations of Dr. Reddy's family are devotees of Swami, with Dr. Reddy himself having come to Swami at the age of five. Since 1984, Dr. Reddy and his family have had a Sai Baba centre in their home. He is currently the chairman of the Prasanthi Council, the governing body which oversees the activities of International Sai Organisations. 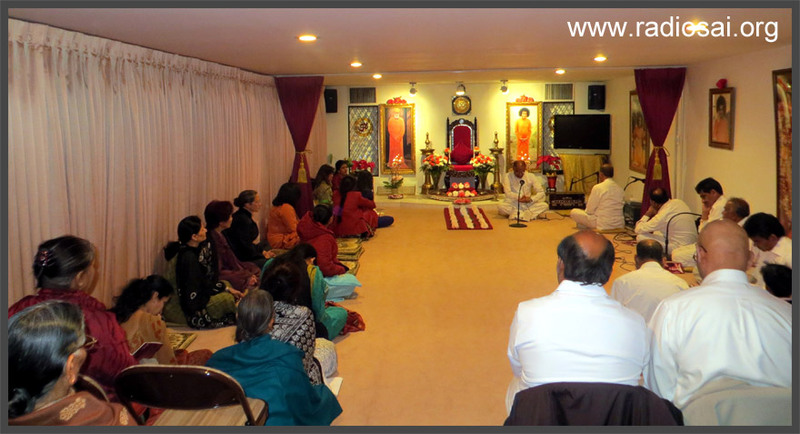 Presented below is the edited transcript of a talk he delivered in Sathya Sai Centre of Arcadia, California, USA on New Year's Eve, December 31, 2013. Since in this month of March many in India and elsewhere celebrate Ugadi, the Telugu New Year Day, it is appropriate for us to ruminate on how to celebrate and observe the New Year. Dr. Reddy gives us powerful insights from his long association with Bhagawan and his deep commitment to the Sai Mission. I offer myself at the divine lotus feet of our dearest, omnipresent, loving Lord Bhagawan Sri Sathya Sai Baba. Greetings of loving Sai Ram to everyone. I am grateful to Swami for giving us this opportunity to welcome the New Year by singing His glories and sharing His message. I wish all of you a happy, holy, and peaceful New Year. As part of our New Year festivities, we customarily spend time with friends and family and send New Year’s greetings. E-greetings are now very popular. They are elaborate and festive with text and graphics of bright colours and with singing and dancing figures. Such e-greetings, in this day and age, are an additional way to express our joy. Most people celebrate the New Year with song, dance, and drink hoping to be merry and happy. But such celebrations produce only temporary pleasure, an interval between two pains. For example, people experience the pleasure of drink and they get a hang-over or a car accident or some other trouble and then they regret. On the other hand celebrating the New Year at places of worship such as at a church, a temple or a Sai Centre, offering love to God and communing with Him, contributes to real happiness. How do we attain happiness? Swami has said that the royal road to happiness is the path of love. We can express this love by singing and sharing the glories of God, by communicating His message through stories, and by practicing His teachings. We also can make offerings of love to God. Offerings are an ancient tradition. We know that God does not measure His devotee’s love by the value of material gifts. For example, Kuchela, the boyhood friend of Sri Krishna could not afford to give an expensive gift to his friend, the king of Dwaraka (and of course the Lord of the universe). All he could offer was parched rice. But Sri Krishna was touched by the sincerity and love of His poor friend and He ate the parched rice. Sri Krishna even washed the feet of Kuchela who then returned home to find that the Lord had given him tremendous wealth and a palace. Lord Krishna simplified the tradition of making offerings for His devotees. He said that devotees need not offer valuable gifts. He would be pleased if devotees offered Him a leaf, a flower, a fruit or water (patram, pushpam, phalam, toyam) with love and humility. Anything we give to Him with love, He will accept happily. Flower, fruit, leaf, and water are available to all. They are easy to offer to the Lord. Rukmini, the great devotee of Lord Krishna, offered just a tulsi leaf to Him and Lord Krishna was pleased. This simple offering of a tulsi leaf with love weighed more than all the gold and wealth that Sathyabhama offered to Lord Krishna. Similarly, Sabari, the great devotee of Lord Rama, offered a fruit to her Lord. Though she tasted it first, she offered it with great love and Lord Rama was pleased. He gave her liberation. The lesson of these stories is that anything we offer to the Lord should be given with love. 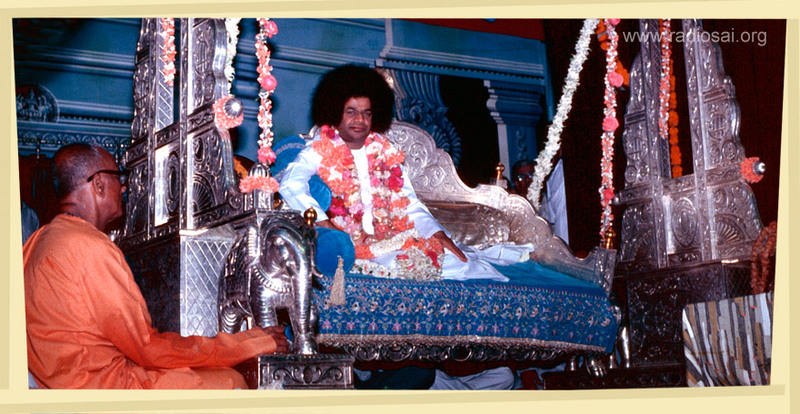 Sri Sathya Sai Baba has simplified for His devotees, to an even greater degree, the tradition of making offerings. We do not need to buy flowers or fruits. Swami tells us the real flower we should offer God is the flower of our pure heart. The fruit we should offer is the fruit of our good deeds. The water we should offer is the blissful tears of devotion that flow when we pine intensely for God. The leaf that we should offer—is a body utilized for selfless service. Leaves from a plant will dry with time and flowers from a garden will fade, losing their fragrance and shrivelling within days. Water and fruits may spoil with time. But the offerings that please God do not fade or lose their fragrance. They do not shrivel or spoil with time. The true offerings are our good deeds, our pure hearts, our tears of joy flowing from intense longing for God, and a body sanctified by selfless service. If we offer these He is pleased. On a number of occasions in discourses, Swami has described beautifully the flowers of worship that God likes. He has emphasized eight flowers of devotion that we can offer to Him. The first flower is ahimsa, non-violence; the second flower is indriya nigraham, sense control; the third flower is sarva bhoota daya pushpam, compassion for all beings; the fourth flower is kshama pushpam, forbearance; the fifth flower is santhi pushpam, peace; the sixth flower is thapo pushpam, penance and austerity; the seventh flower is dhyana pushpam, meditation; and finally, the eighth flower is sathya pushpam, truth. The first flower to offer to God is ahimsa pushpam, the flower of non-violence. Lord Buddha has said, “Ahimsa paramo dharma.” The highest dharma is ahimsa. Non-violence is much more than simply not participating in physical violence. Of course we should not physically assault another being. Physical violence is demonic. In addition, we should never hurt another being with words. The damage done by words is more powerful and more lasting than physical violence. Swami says that the scars from physical violence heal but the scars from verbal abuse linger, perhaps for years and sometimes for generations. We should therefore be careful with our choice of words. We should never use hurtful, critical words or find fault with others. Jesus said, “You hypocrite, first take the log out of your own eye, and then you will see clearly to take out the speck that is in your brother’s eye (Luke 6:42).” Swami has said that when a person finds fault and points one finger at someone else, three fingers are pointing back at the critic. Therefore finding fault is the greatest himsa, the greatest violence. Swami once told the students, “You are all terrorists.” We were surprised since we knew they are such good boys. Swami was referring to the most subtle level of violence, the level of thought. Swami says even having a negative thought is violence. Thus, whenever we think negatively about others, we are exhibiting a form of violence. An example of a good Sai devotee, who truly passed the test given by Swami, was Mr. Gopal Rao. He lived for one-hundred years. He was the chairman of Andhra Bank for many years and he was an exemplary devotee of Swami. Dr. Narendranath Reddy and Mrs. Hyma Reddy with late Mr. Gopal Rao. Also alongside is an active Sai youth Krishna S.
Gopal Rao said, “Swami, I got out on the right side of my bed today. By Your grace I was able to pass the test and answer You properly today. Without Your grace I would have failed.” This story is an example of how the Lord tests us regarding criticism. Hence, the first flower, non-violence, includes not criticizing others. Control of the senses is important. If you really want to be happy, see good. You do not need to suppress the senses. Swami says that suppression of the senses is difficult and the senses will revolt. The solution is to direct the senses toward good activities. If you have a desire to see movies, watch good, inspiring movies with morals. If you want to listen to music, listen to inspiring music that calms you and soothes you, divine music such as bhajans. If you wish to speak, narrate stories of God or inspiring stories instead of gossiping. Thus Swami says, “Do good, see good, hear good, and be good. This is the way to God." In the olden days Swami used to chew betel nut and betel leaves frequently. This would give His lips a beautiful red colour, like lipstick. Once Swami was wiping His mouth after chewing betel leaves and noticed a red stain on His handkerchief. Swami immediately stopped chewing betel leaves. This is an example of mastery over the senses. Swami practices what He preaches.